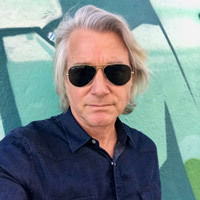 With over 25 years in music and entertainment content, Golden Globe, Grammy, and Academy Award music-related nominations, as well as more than a billion dollars in box office feature films, Lindsay Fellows’ expertise crosses every aspect of the entertainment industry. His career began in the licensing division of RCA Records before transitioning to VP of Licensing and Promotions at the launch of indie label, Squint Entertainment, where he supported the breaking of hit song “KISS ME” by Sixpence None The Richer through feature films such as She’s All That and the TV series Dawson’s Creek. He headed to Walden Media where music became a major force to brand AEG’s family and educational driven film company. He launched his own The Engine360 consultancy in 2009 with music supervision, licensing, and brand activations as a focus he created strategic partnerships and with Lionsgate, CBS, Red Bull Media House, The Weinstein Company, Marvel Entertainment, Paramount Pictures, Nickelodeon, Immersive Artistry, Walden Media, Film Finance Corp, Walt Disney Co, FOX, Pop2Life, Hollywood Records, Downtown Music Publishing, Country Music Association, Lexus, HGTV, Articulus Entertainment, Sorted Noise, Anschutz Entertainment Group, and Summit Entertainment. Now with Immersive Artistry as EVP of Music and Creative he has worked with the executive team to develop and launch several of their marquee projects in experiential entertainment.